Metals Valve is the valve division of Hebei Metals Industrial Limited. 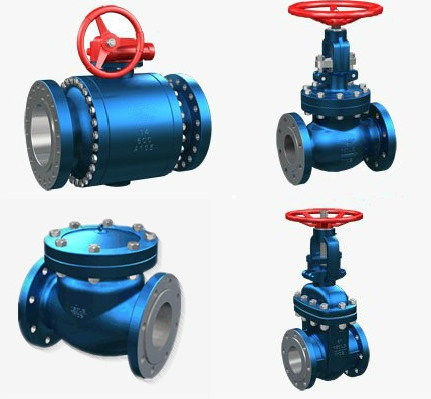 As an eminent valve manufacturer in China, the company has been dedicated to piping industry for many years supplying ball valve, gate valve, check valve, globe valve, butterfly valve and other special valves. Our valves have excellent performance in various conditions including high pressure, high temperature, high wear risk, cryogenic, and severe corrosion, etc. Innovative R&D center, integrated with advanced manufacturing process, stringent inspection & quality control, and mordern storage management system constitute the core competitiveness of Metals Valve. The engineers from Metals Valve are always prepared to provide professional design and advice to clients as well as reduce cost, improve quality and production efficiency. By using ERP and CAM, the whole valve-production process is accurately controlled and the stock is clearly categorized. An ISO approved quality management system is implemented to ensure “zero defect” on any valve produced. Metals Valves’s QA team conducts a series of inspection and test throughout the production process which includes dimensional inspection, mechanical test, PMI test, fugitive emission test, painting checking, hydraulic & air inspection, cryogenic test, and HIC test. Industrial valves are designed and manufactured in comformance with relative national and international standards such as HG/T, GB, API, ASME, AWWA, DIN, BS, NOSOK, JIS, EN, ISO, and GOST. We have been supplying world wide companies such as SINOPEC, PetroChina, BP, ARAMCO, PDO, Fluor, etc. The sales network covers Europe, USA, South America, Middle East, Southeast Asia and Africa.